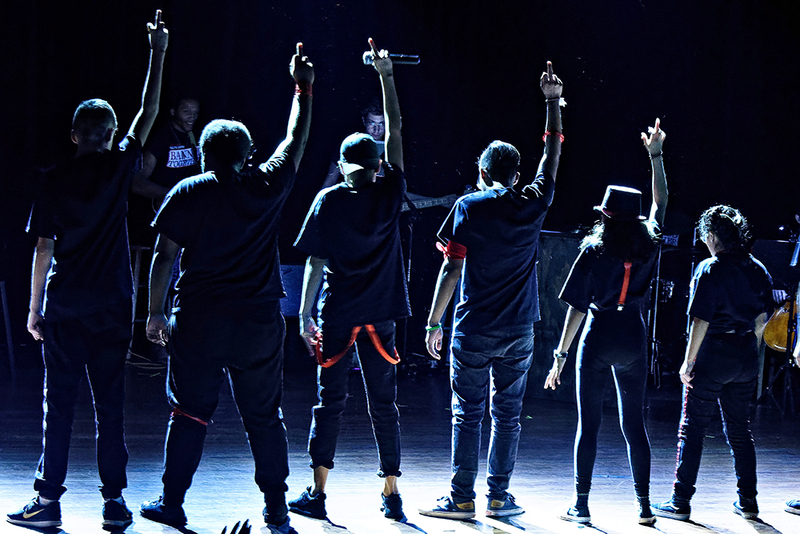 Bishop Arts Theatre Center TNT (Teenagers in Theatre) apprenticeship program offers students an innovative hands-on experience in learning how to perform on stage as well as teaches them the design aspects of theatre such as lighting, sound, costuming and set-design. Students are also taught the fundamentals of various components of theatre including audience etiquette, script analysis, improvisation, directing and playwriting. TNT was created to foster and support the next generation through art education, peer mentoring abilities, and free expression. Our objective is to touch students with the arts in a way that informs the rest of their academic interests and transform their sense of personal potential. As a result of the program, students are able to apply text interpretation and critical thinking to help improve reading skills. The program has a proven record of success. In previous years, ninety-one percent of the students enrolled passed the Reading section of the STAAR test. The improvements in academics for our TNT students continues to rise. Through collaborations with organizations like the Dallas County Juvenile Department and Volunteer Now, TNT has been able to recruit teenagers to help reduce the rate of recidivism. The program provides a safe and encouraging environment for youth of like minds to network, support and create along-side each other while having access to professional artists, art materials and an array of arts experiences. 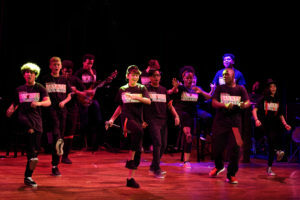 In September 2018, BATC in conjunction with the Dramatists Legal Defense Fund, Pen America, and Humanities Texas presented Banned Together: A Censorship Cabaret as part of the TNT apprenticeship program during Banned Books week, (September 24th-29th) an annual celebration of freedom of expression. 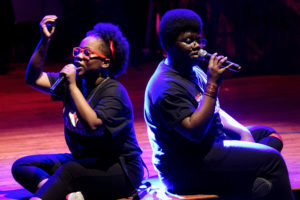 The production was directed by Adam Adolfo with musical direction by Anthony Holmes. Emphasizing leadership skills and civic engagement, students from Barack Obama Leadership Academy, D.A. Hulcy STEAM Middle School and the Dallas County Juvenile Department worked diligently through the creative process for four weeks. 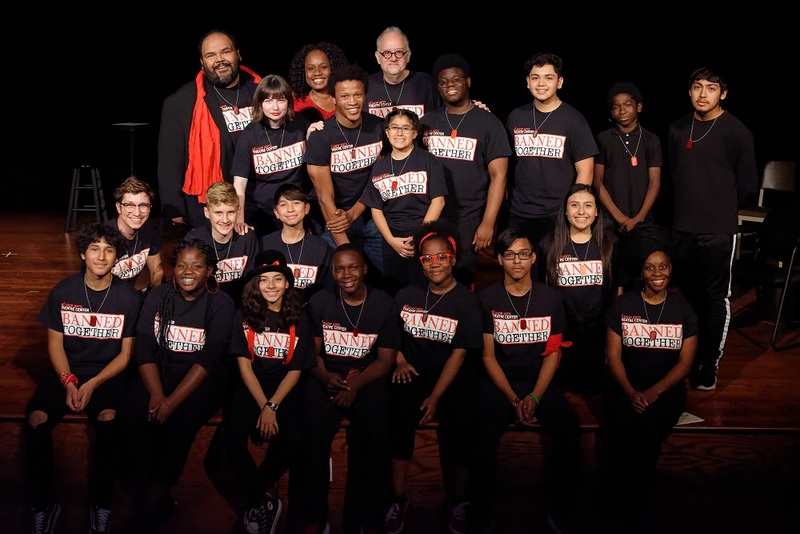 One of the most treasured experiences of the program was that the students were mentored by Pulitzer-Prize winning playwright, Doug Wright who also happens to be a native of Dallas, TX. Banned Together: A Censorship Cabaret is a celebration of songs and scenes from shows that have been censored or challenged on America’s stages, created to raise awareness around issues of censorship and free expression in the theater. Students are so excited about participating next year. Call 214-948-0716 for an enrollment application. TNT is made possible by the generosity of our sponsors the Texas Commission of the Arts, City of Dallas Office of Cultural Affairs, Dramatists Legal Defense Fund, Pen America, Humanities Texas.